Be sure to check out the full 360 degree Virtual Tour of this Amazing 5 bedroom, 2.5 bath home which includes a HUGE 700+ Bonus room. Master bedroom downstairs. Over sized garage with work space. Gourmet kitchen with Knotty Alder Cabinets, Pantry, Farmers Sink, Gorgeous Stainless Appliances & Granite Countertops! Additional features and upgrades include: hand scraped Amish hardwood floors in den and master, bonus room pre-plumbed for 3/4 bath, Malapais Rock fireplace, Whole house fan, and wood-look tile throughout downstairs. 4 Bedrooms have walk in closets. 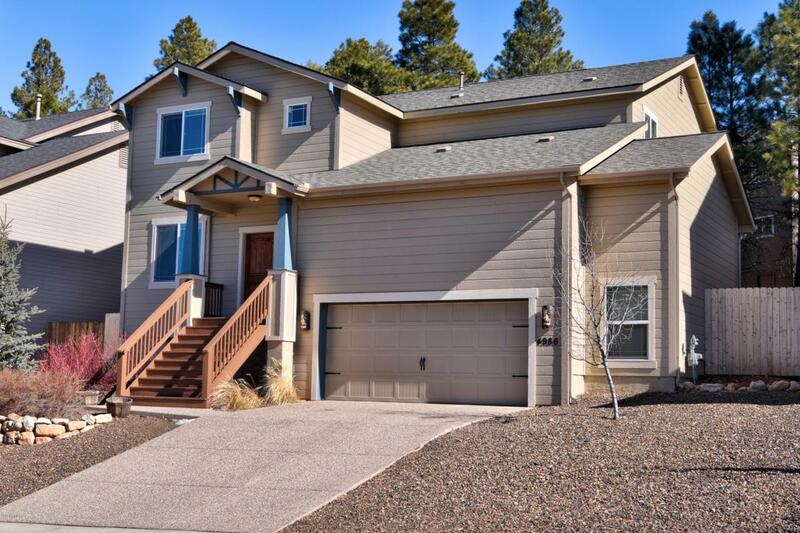 Close to the Urban Trail System, Forest and just minutes from Downtown Flagstaff.